One important caveat to receiving compensation under your insurance policy is that you must receive medical treatment within 14 days of the accident. The Personal Injury Protection (PIP), or no-fault, system is designed to reduce personal injury litigation. 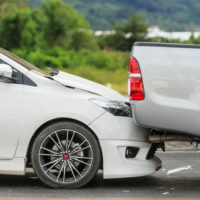 Negligent drivers who might otherwise be legally responsible for accident-related damages are exempt from tort liability to the extent that those damages are covered by the injured party’s insurance. If the insurance doesn’t pay for all of those damages then the injured party may bring a personal injury lawsuit. But injured parties are not eligible for benefits at all if they don’t seek medical benefits within the 14-day timeframe. Who Is an Eligible Healthcare Provider? The injured party must receive initial healthcare services and care from an eligible healthcare provider. But qualifies as an eligible provider? The most obvious answer is an emergency room or other licensed person or entity that provides emergency transportation and treatment. That’s the likely scenario for someone who suffered an obvious injury like a broken leg. Some injuries, though, don’t manifest immediately, and when you start experiencing symptoms you might not need to go to an emergency room. Florida law provides for that scenario as well, which is why you may also receive initial treatment from a licensed physician, dentist or chiropractor. Call your insurance provider if you have questions about eligible healthcare providers under your PIP policy. But if you experience a medical emergency seek medical attention immediately. An experienced attorney can help determine if your injury meets this threshold. Contact a Miami personal injury attorney at The Pendas Law Firm today for a free consultation if you have been injured in a car accident. We will assist you with any insurance disputes that arise and help you seek additional compensation if your injuries are not covered by your insurance policy. The Pendas Law Firm also represents clients in the Fort Lauderdale, West Palm Beach, Orlando, Jacksonville, Fort Myers, Tampa, Daytona Beach and Bradenton areas.